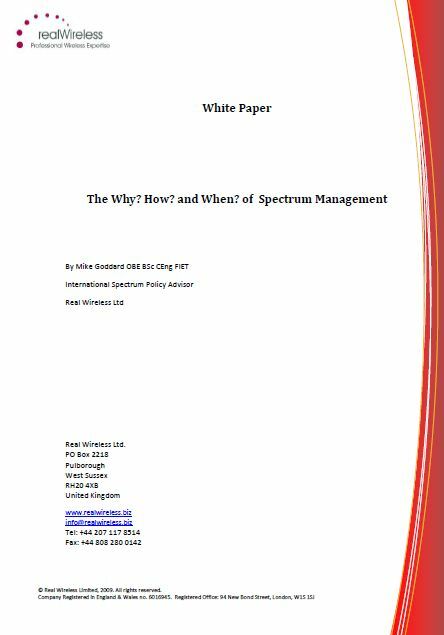 40 years of spectrum management experience in a free white paper! This paper is based on a talk Mike gave last year – full details in the paper. Do feel free to post your comments on the issues raised in the paper.